I live in the south and if there is one thing we love here is a beautiful front porch. Our house has a small front porch that doesn’t have much room for decorating. When we completed our shed makeover back in the Spring we added a porch to it so I could have my southern dream. The perfect spot to decorate. 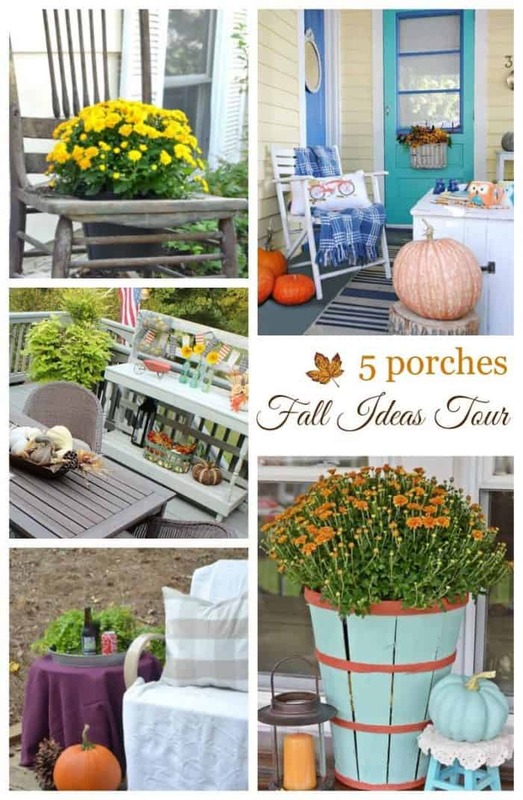 I was thrilled to be invited to share my Shed Fall Porch with such a talented group of bloggers this week. They will all be linked at the bottom of the post. In our house fall means football. We completed our shed makeover and added the big TV with football games in mind. 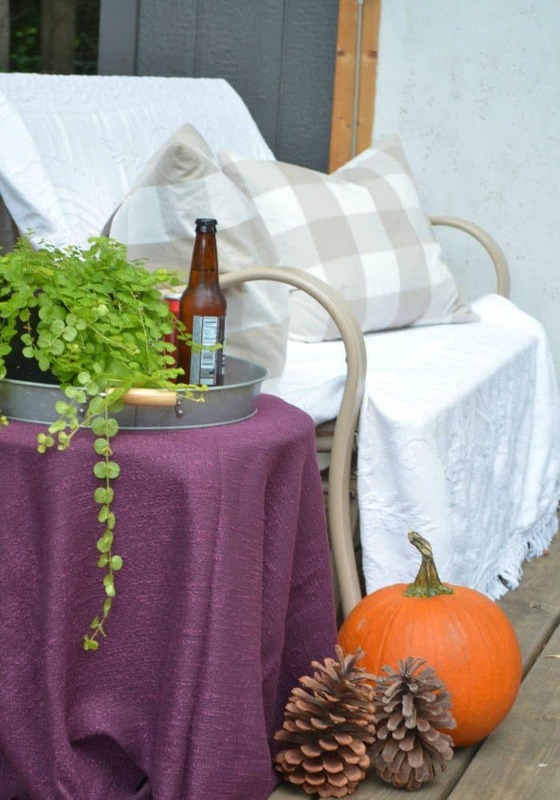 Decorating the shed porch for comfort was my goal. The only thing I bought were the pumpkins, which by the way are perfect when it’s also your team colors. The glider is a piece of outdoor furniture that is great to sit on but really needs a new paint finish. Bringing out a coverlet from the house and folding it over the glider makes it cozy and hides the need for new paint. My farmhouse wreath works great here on the shed porch as well. I moved it from inside the shed to outside. 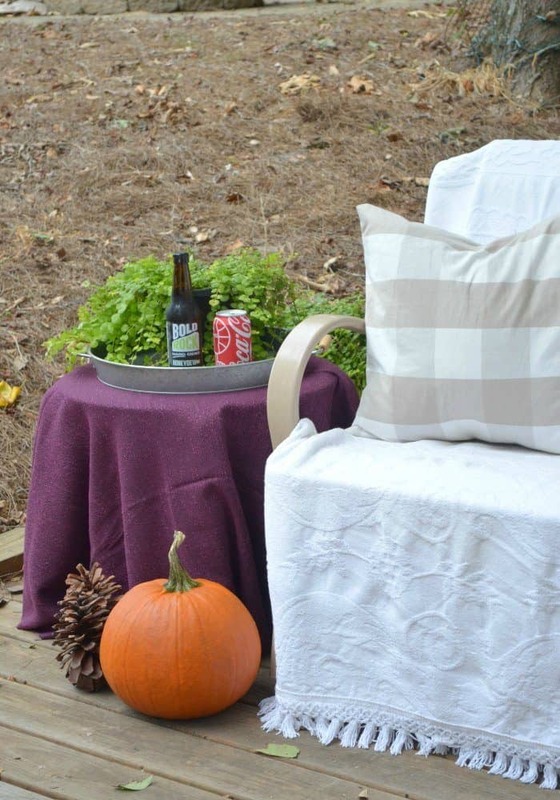 The side table was made dressier with a yard of fabric and a serving tray for snacks and drinks. 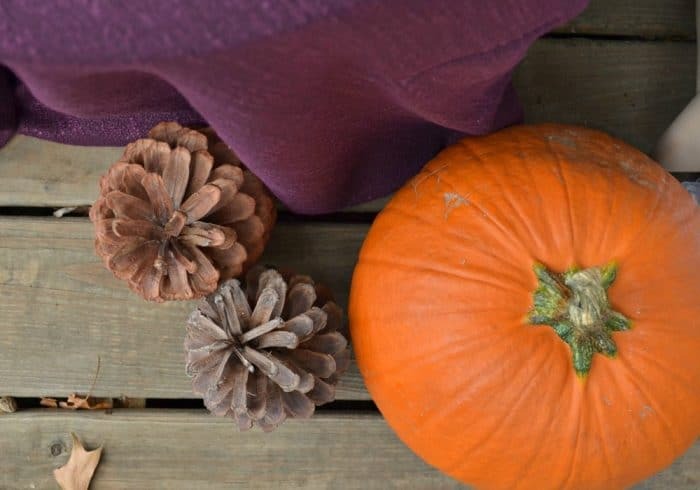 Don’t let decorating for the seasons become hard or expensive. Use things you already own and keep it free. Use indoor items outdoors when possible. Keeping seasonal decor simple is best for me. 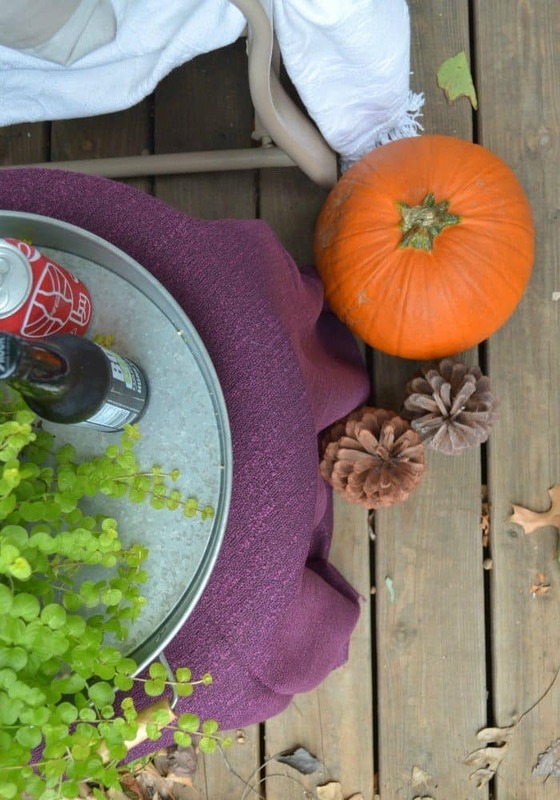 I updated my fall mantel the same way. Now you can head on over to see more inspiration from my friends. I have a little shed envy 😉 Love yours – I need one! 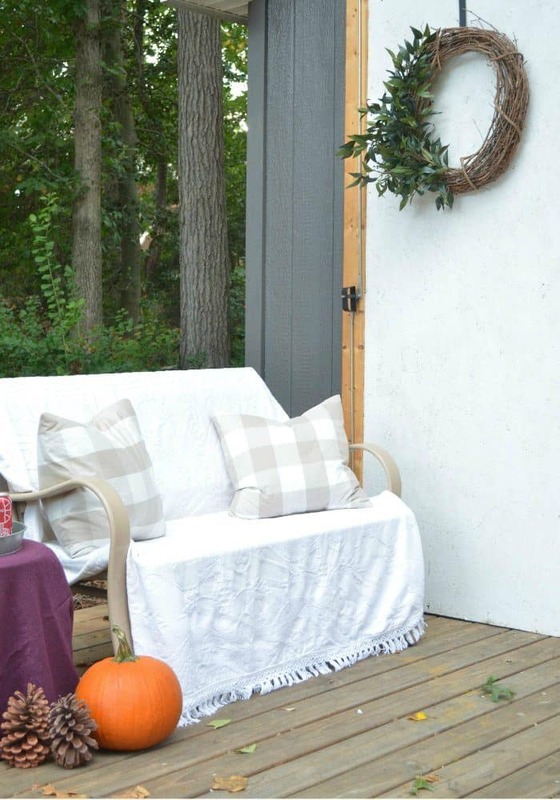 Hey Sonya – We love your shed porch. What a perfect spot to watch the games and hang out with family and friends! We are doing a she makeover for the One Room Challenge in a couple of weeks…we hope that we can pull it off LOL. Happy Fall! 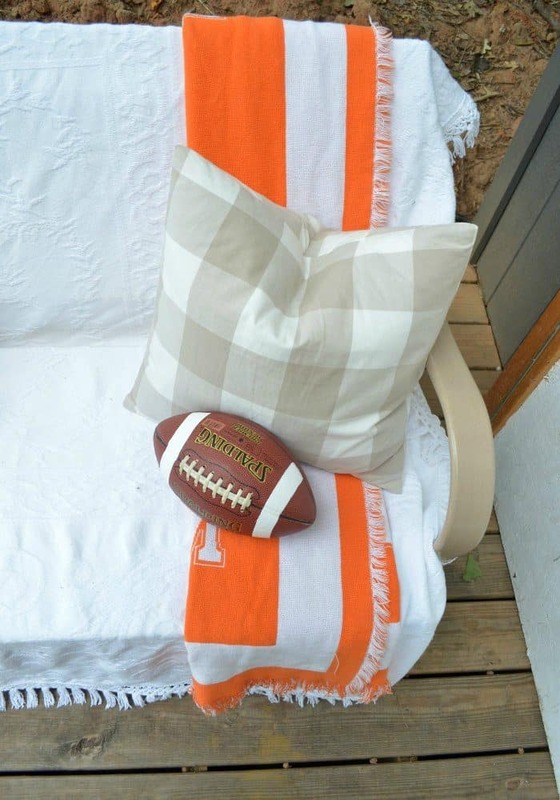 I love that you have a football in your porch decor too! That is a staple in my front porch decor for sure! There is a lot of football playing going on in the fall around here! Thanks for showing us around! Love the colors on the porch. And how did I miss your shed makeover? I have to go check that post out! You know that I’d like that purple and orange combo! I wish I had one of those gliders because its motion is so comforting and relaxing to me. We had a similar one on our front porch when I was growing up. I’ve never even seen a shed porch before, but now that I’ve seen yours I’m pretty sure I need one! 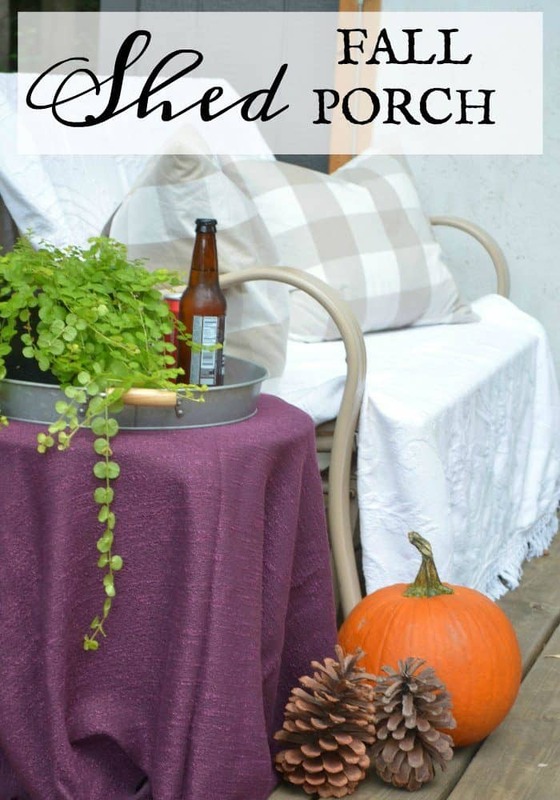 What a fun, and adorable, place to spend a crisp Fall day! I love your idea of keeping things simple and using what you have. And yes, fall is all about football here too! Thanks for joining us on the tour.